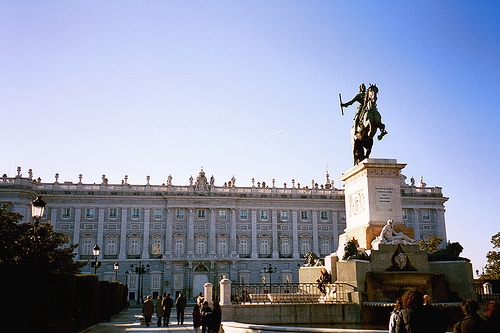 Madrid is great — great food and great museums. Fun times. We have said it many times — if you go to Madrid, you definitely need to go and eat at DiverXO (just use the e-mail address on the website and let them know you are visiting from the US when you are making a reservation). November 16th – 22nd. 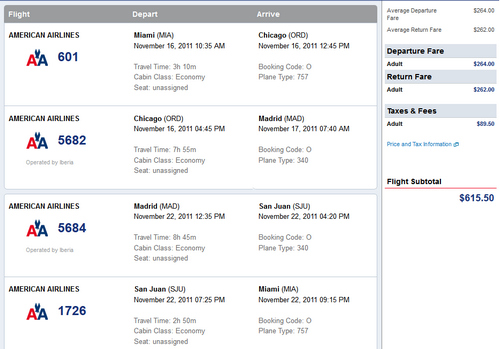 Valid for travel November 16th – December 16th & January 3rd – 9th, 2012. Use http://matrix.itasoftware.com and flexible month search to see availability.